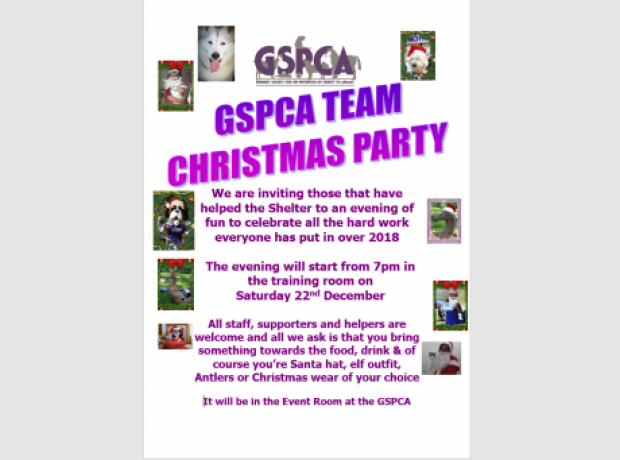 This Saturday at the GSPCA we are having our annual Christmas celebration for all those that have done so much for animals and the community over the last year. Dress code is Christmas themed and all staff, volunteers, friends, supporters and families are welcome to join us to celebrate all we have achieved during another busy year. Children are also welcome and there will be lots to keep them entertained from space hoppers to tunnels to play in. 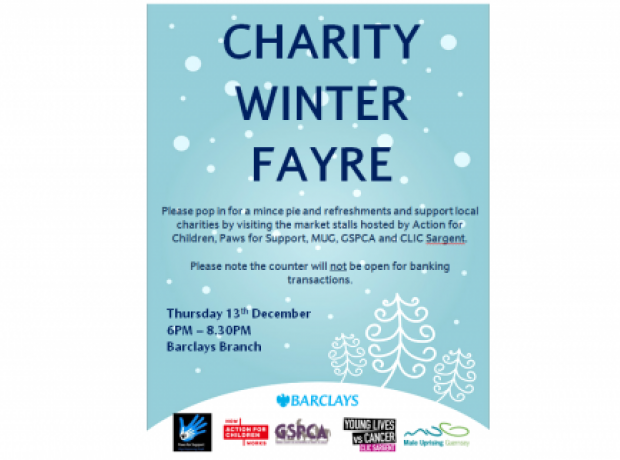 Please pop in for a mince pie and refreshments and support local charities by visiting market stalls hosted by Action for Children, Paws for Support, MUG, GSPCA and CLIC Sargent all taking place at Barclays Branch in St Peter Port. 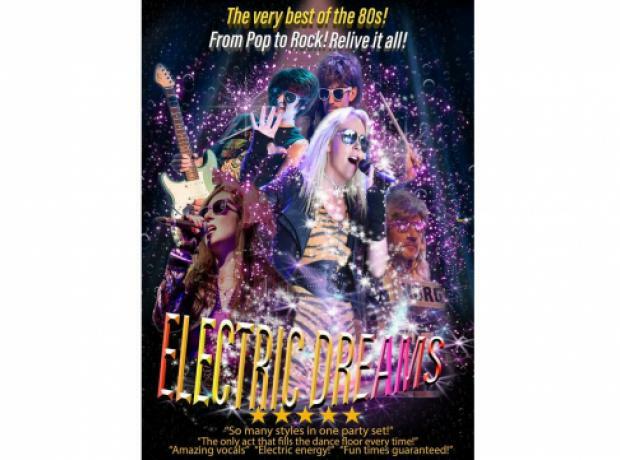 This great event will take place on Thursday 13th December between 6pm and 830pm. Please note the counter will not be open for banking transactions and all are welcome into the warm to support these local charities. Rangers big day at the KGV is this Sunday 21 October when they celebrate 12 years and play the Army. Weather looks good and the day starts from 1pm so come see a 7 strong aerial team parachute ball in from 1.45pm. 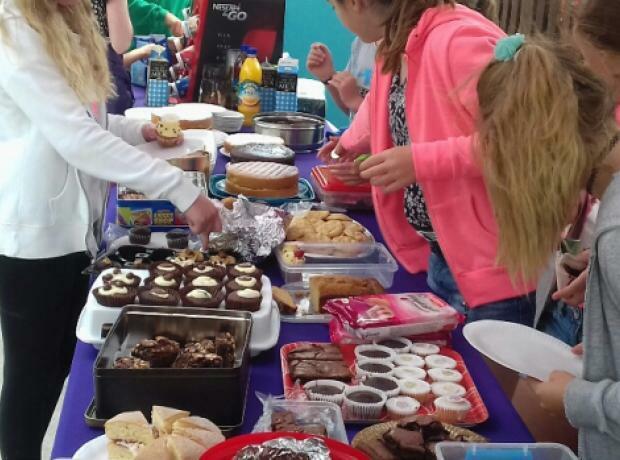 Charity stalls including GSPCA, indoor soft play, Youth Commission, Outdoor Guernsey Nerf Zone loads for all family. Match kicks off at 2.30pm. 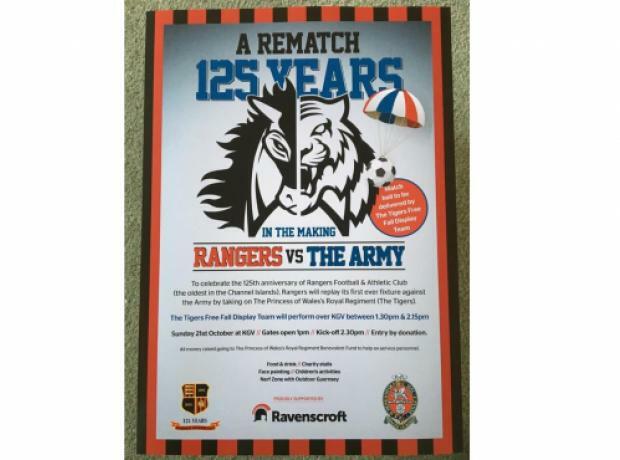 Rangers Football and Athletic Club (the oldest in the Channel islands) v Princess of Wales’s Royal Regiment (The Tigers) proudly supported by Ravenscroft. Every year many children with parents or guardians head out at Halloween on the 31st October dressed up to celebrate the American tradition of 'Trick or Treat'. With the growing concern of the consumption of sweets and sugar why not this Halloween raise funds for charity. 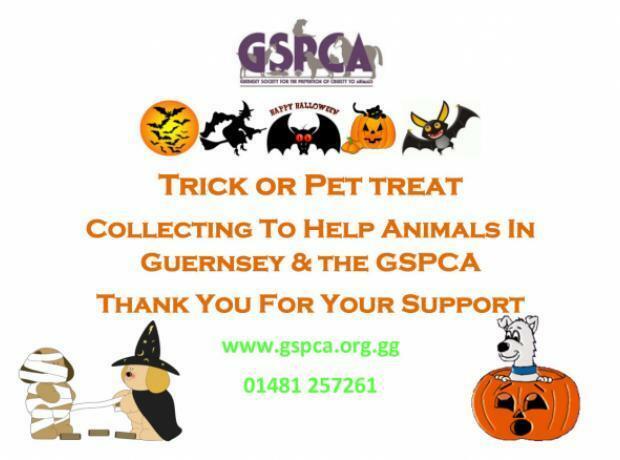 With the dark evenings it is important to ensure you follow some simple safety hints and tips, but this year could your Halloween night out help benefit the hundreds of animals in need in Guernsey. 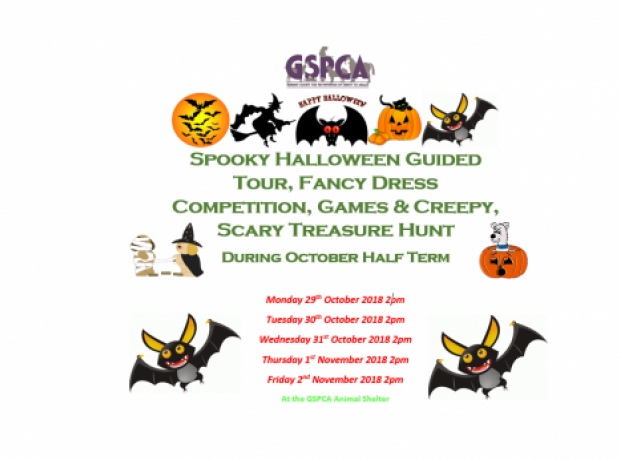 The week of Half Term the GSPCA are running Spooky Tours and Halloween Treasure Hunts at the GSPCA. Last year we had young vampires, cats, zombies and monsters for the scary events at the Animal Shelter in St Andrews. The groups on arrival will have lots of spooky things to do and see from Webster our tarantula to the many lizards in our care, black cats and many others some with scary names. Tours take about 45 minutes and once the treasure hunt quiz is complete all will get prizes for their great fancy dress and doing well in the quiz. Thank you to all that supported us at the Support Adoption for Pets Summer Fundraising Drive at Pets at Home over the Summer. This Summer the GSPCA were at Pets at Home with GSPCA team members, a few of our teams animals and some from the Shelter. 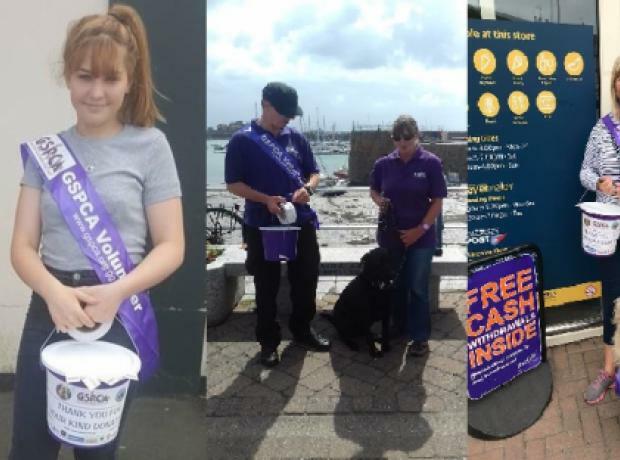 We were helping sell their Scratch Cards for the Support Adoption for Pets Summer Fundraising Drive with the sales of tickets in Guernsey helping the many animals at the GSPCA and even had the Pets at Home Manager locked up in a cage raising funds for the GSPCA. 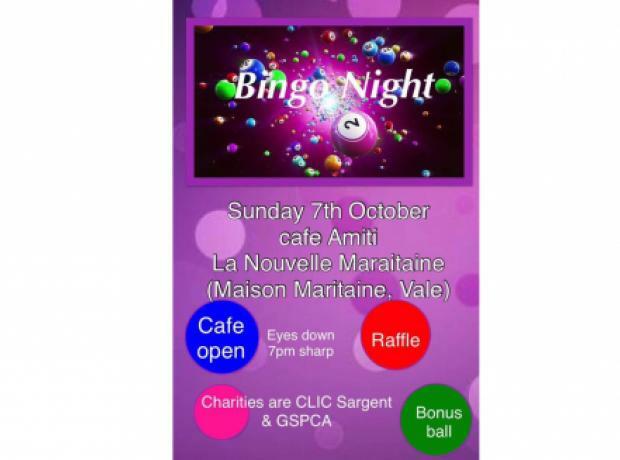 Taking place from 7pm at Cafe Amiti La Nouvelle Maraitaine come join for a fun evening of Bingo in aid of the GSPCA and Clic Sargent.